"I would like to thank you for your help and expertise. You were extremely helpful and knowledgeable, not just about the alarm. The alarm system is brilliant; I really like the back “real” alarm box and the constant flashing lights. I will definitely recommend you to anyone who needs an alarm." "We just wanted to thank you on the great service you provide. Thank you for your patience in waiting for our home improvements to be carried out before you were able to complete your work. 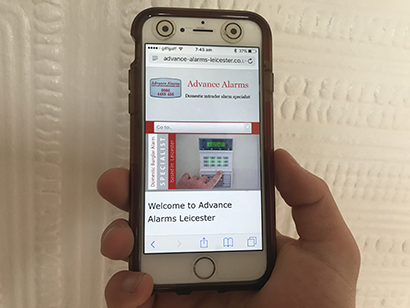 We are more than happy with the alarm and find the dual/multi alarm code option brilliant!" "I would like to take this opportunity to thank you and advance alarms for the excellent installation of my burglar alarms. 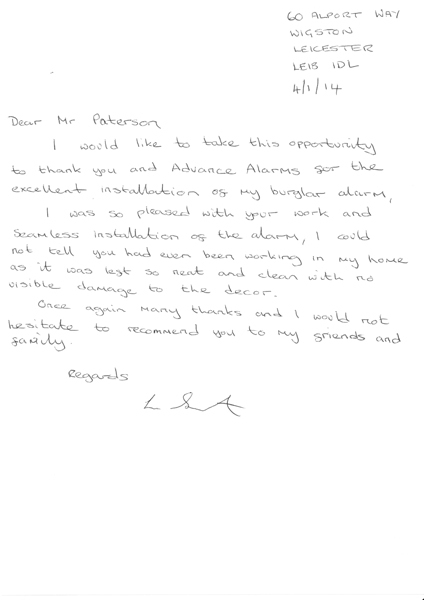 I was so pleased with your work and seamless installation of the alarm, I could not tell you had even been working in my home as it was left so neat and clean with no visible damage to the décor. Once again many thanks and I would not hesitate to recommend you to my friends and family." 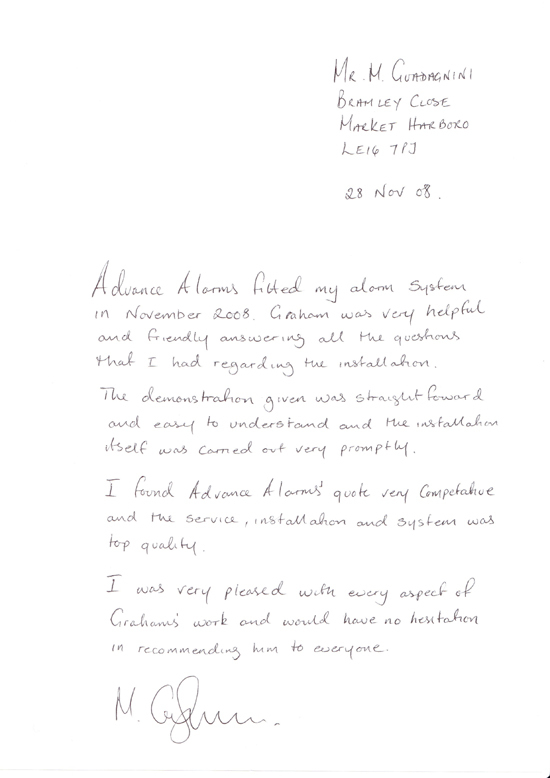 "I would like to thank you for the fantastic job you have done on the installation of my alarm. On the demonstration I didn’t feel like the engineer was trying to pressure me into the sale, he was very informative, left me a quotation and gave me time and space to think about it. I’m so delighted with your high standard of work and very reasonable price that I would definitely recommend you to my friends and family. There was no damage to the door and no mess left behind to clean up after." 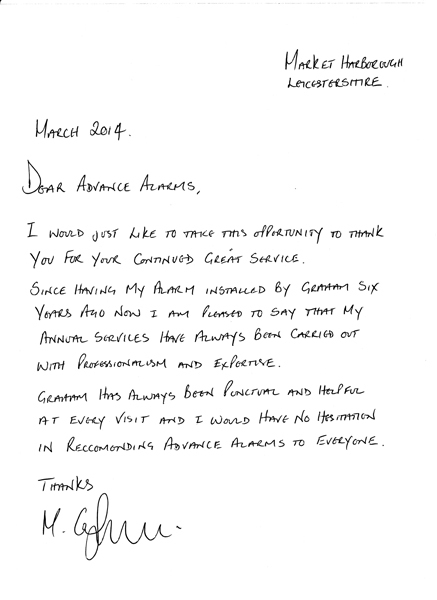 "I would just like to take this opportunity to thank you for your continued great service. 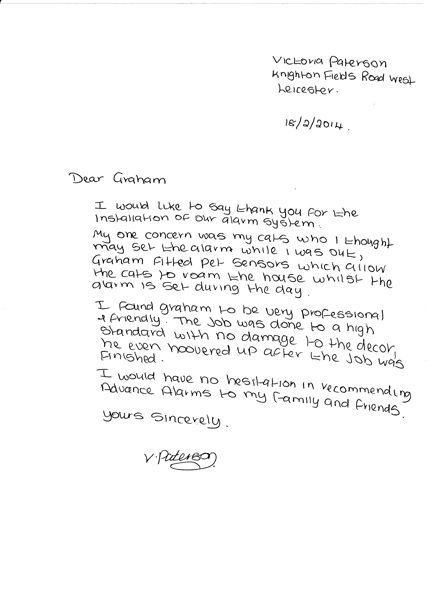 Since having my alarm installed by Graham six years ago I am pleased to say that my annual services have always been carried out with professionalism. Graham has always been punctual and helpful at every visit and I would have no hesitation in recommending Advance Alarms to everyone." 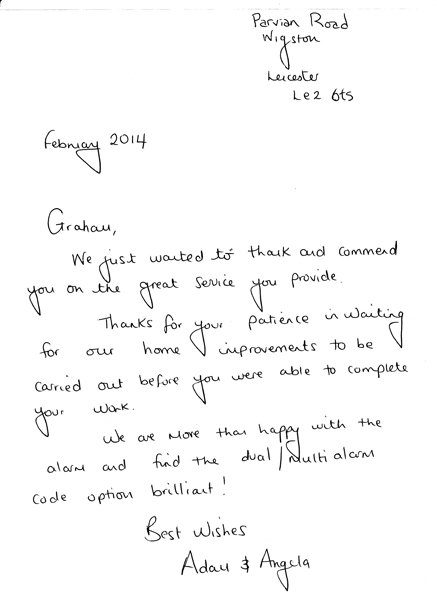 "Just a quick note to say thank you, very much, for the excellent alarm installation. 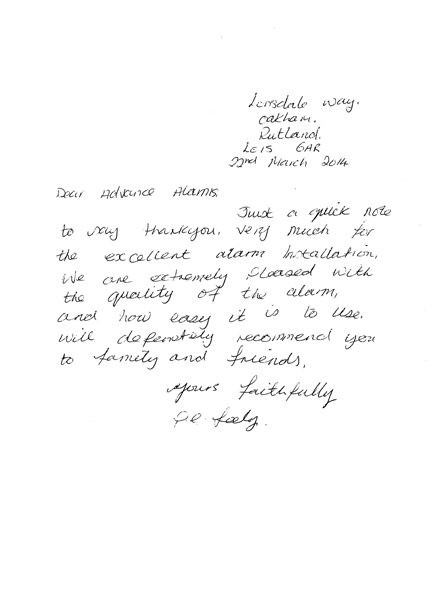 We are extremely pleased with the quality of the alarm and how easy it is to use, I will definitely recommend you to family and friends." 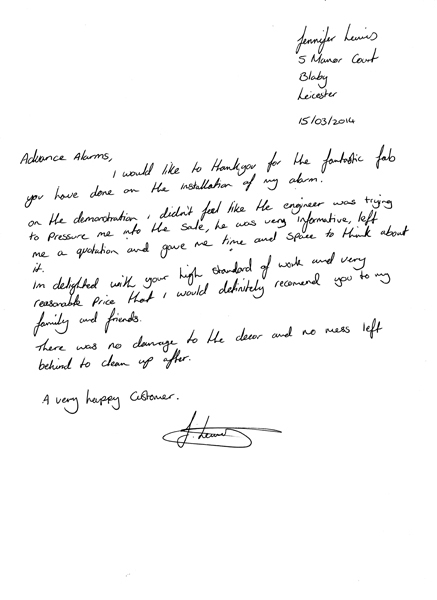 "I would like to say thank you for the installation of our alarm system. My one concern was my cats who I thought may set the alarm while I was out. Graham fitted pet sensors which allow the cats to roam the house whilst the alarm is set during the day. I found Graham to be very professional and friendly. The job was done to a high standard with no damage to the décor , he even hovered up after the job was finished. I would have no hesitation in recommending Advance Alarms to my family and friends. " "The demonstration given was straight forward and easy to understand and the installation itself was carried out very promptly. 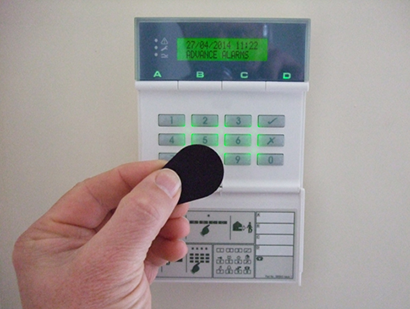 I found Advance Alarms * quote very competitive and the service, installation, and system was top quality." 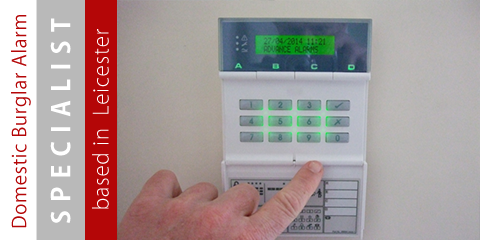 "Three years ago we chose Advance Alarms to fit a domestic burglar alarm system in our new home. 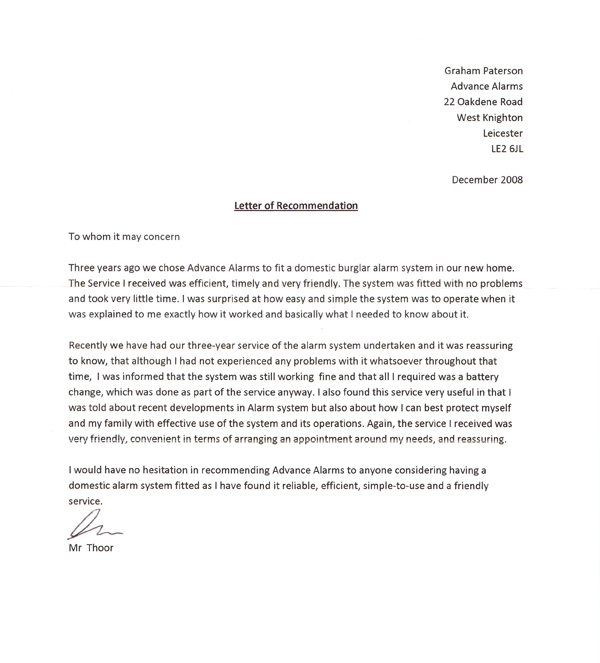 Recently we have had our 3 year service of the alarm system undertaken and it was reassuring to know that although I had not experienced any problems with it whatsoever throughout that time, I was informed that the system was still working fine and that all I required was a battery change, which was done as part of the service anyway. 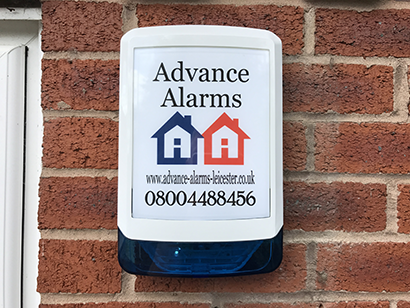 I would have no hesitation in recommending Advance Alarms to anyone considering having a domestic alarm system fitted as I have found it reliable, efficient, simple to use and a friendly service." 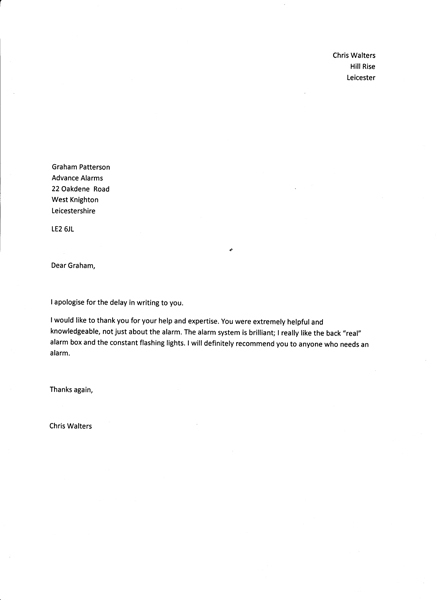 "This is just a note to say how impressed my wife and I have been with your product (alarm system and security light), and service. From query to installation took less than a week. Your after sales support advice has been prompt and utterly customer-focused"
"I would just like to say thank you for the excellent job, your professionalism and help whilst installing my alarm. The engineer was extremely informative and very friendly. I will definitely be recommending your company to my friends and family."" 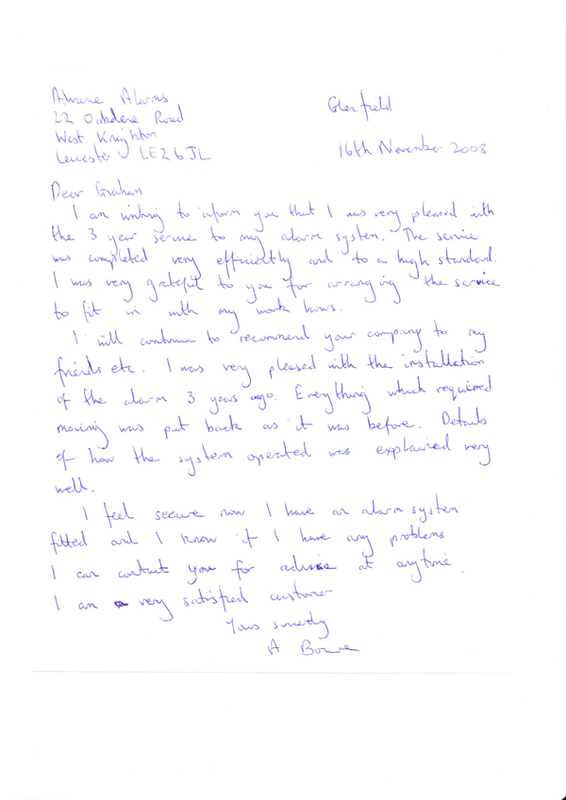 "I am writing to inform you that I was very pleased with the 3 year service to my alarm system. 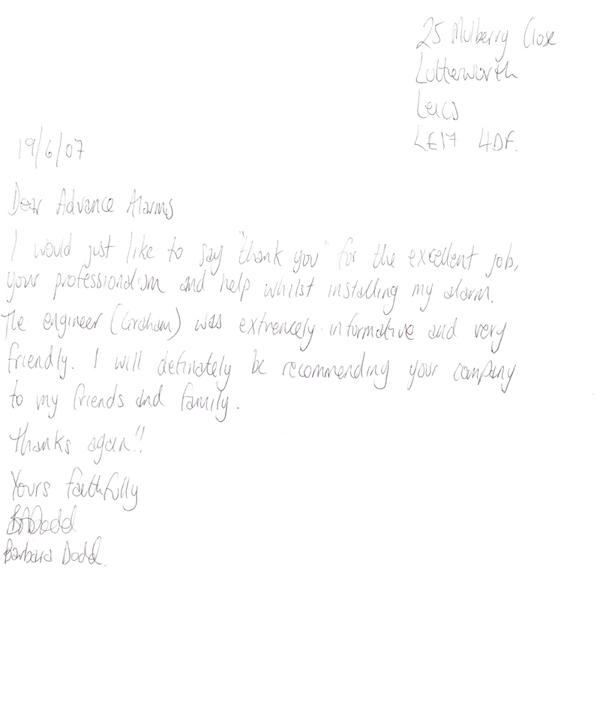 The service was completed very efficiently and to a high standard. 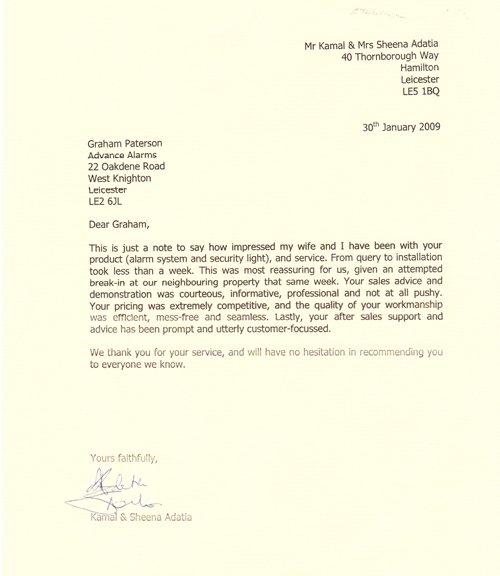 I was very grateful to you for arranging the service to fit in with my work hours"